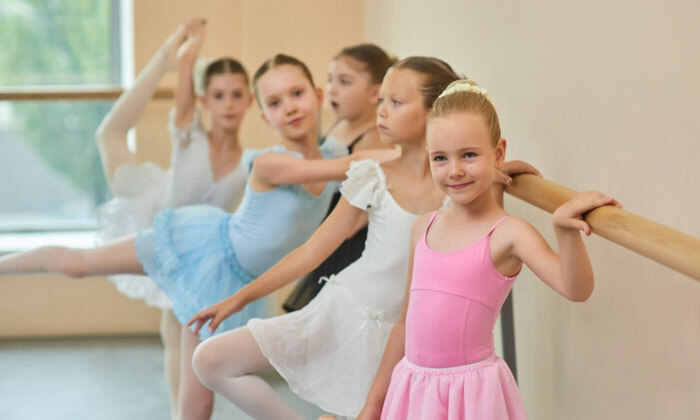 Your dance studio is your pride and joy. Most days. Of course, we’re guessing you already have several software programs and web-based services that help you achieve organization within your studio. But what if Jackrabbit could streamline all the processes and functions of those different platforms, allowing you to automate some tasks while also keeping all the details interconnected and constantly accessible? 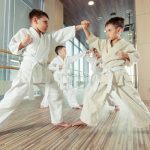 Let’s look at a few key ways that Jackrabbit’s web-based tools can help your dance studio achieve greater organization. With Jackrabbit, you can import e-mail address lists from Excel and choose criteria for sending different types of messages to select recipients. For instance, you can choose all families of “active” students, only families of students in certain classes, individual families, etc. 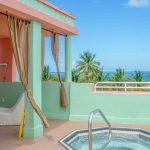 For instance, communication about a special event, cancellation, or registration might be sent to select groups, while congratulations on a new skill mastered or an upcoming birthday or other milestone would be sent only to select individuals. Because of Jackrabbit’s integrated platform, you’ll also have a record of that communication, allowing you to see interactions by looking at any given student’s profile. Jackrabbit software allows you to generate helpful reports that allow you to quickly and easily evaluate revenue and plan for future classes and events. When you log on, you’ll see a bar chart on your “dashboard,” summarizing current classes as well as revenue. This overview will also give you alerts regarding issues within a 10-day period. You can customize your dashboard details to include birthdays, absences, wait lists, aged accounts, and more. With its seamless integration with Quickbooks software, Jackrabbit allows you to track daily revenue according to an assortment of criteria. Totals can be sent to Quickbooks, allowing you to perform functions such as viewing paid fees, searching transactions, and reconciling reports. In addition to the kind of customization Jackrabbit brings to reports, our tools also allow you to view dynamic calendars in your preferred format along with real-time updates. You can also run reports about individual classes, allowing you to view absences, class size, project tuition totals, and more. 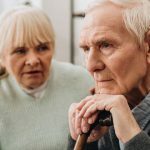 You can also run family reports, helping you determine the most successful marketing methods, looking up contact information, printing mailing labels, and even viewing your top customers, according to either frequency of class attendance or revenue. The Jackrabbit staff portal allows your staff members access to all the tools they need in order to track and communicate with both management and clients. From logging hours to viewing schedules and monitoring student process, the staff portal provides a simple way for staff members to remain on top of their responsibilities. The staff portal interacts with the customer portal, as staff members elect to share certain pieces of information. If you want to know more about Jackrabbit’s organizational benefits and how they can impact your dance studio, take a look at this demo video below, call a Jackrabbit Product Coach, or go ahead and sign up for a free 30-day trial! 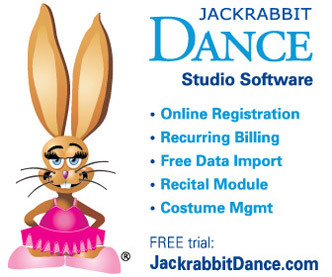 Jackrabbit Dance software provides dance & ballet studios with simple-to-use online solutions for billing, sign ups, registration & business management. 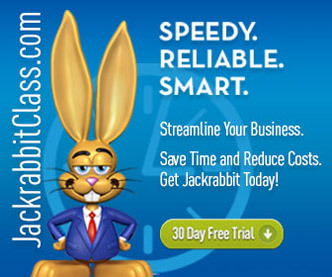 Jackrabbit’s leading online class management software delivers an unparalleled combination of speed, reliability and smart customer-focused solutions. Learn more at www.JackrabbitDance.com or call them at (704) 895-4034.